Toby Press was a small but respectable comics publisher, which also used the imprint Minoan; they put out one issue of Tales of Terror, then got hit by a cease-and-desist order from E.C., which used that title for their annuals. Toby dropped that and started over with TALES OF HORROR, which ran thirteen issues. Toby may be the only comics publisher to swipe the urbane and cynical stories of John Collier, rather than relying on Poe, Lovecraft, and the like. Writers’ and Artists include Myron Fass, Bill Molno, Pete Morisi, Ed Smalle, Lawrence Dresser, Max Elkan, Art Helfant, Ernie Schroeder and Bernard Baily. 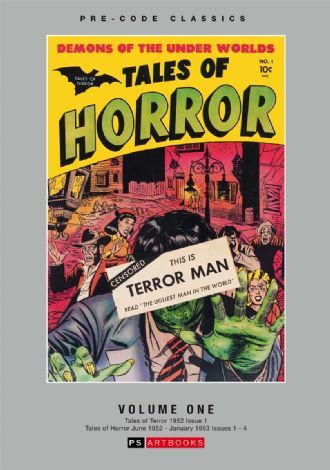 This first volume features the ACE Comics issues of Tales Of Terror, issue 1 – 1952 and Tales Of Horror issues 1 - 4 June 1952 to March 1953. 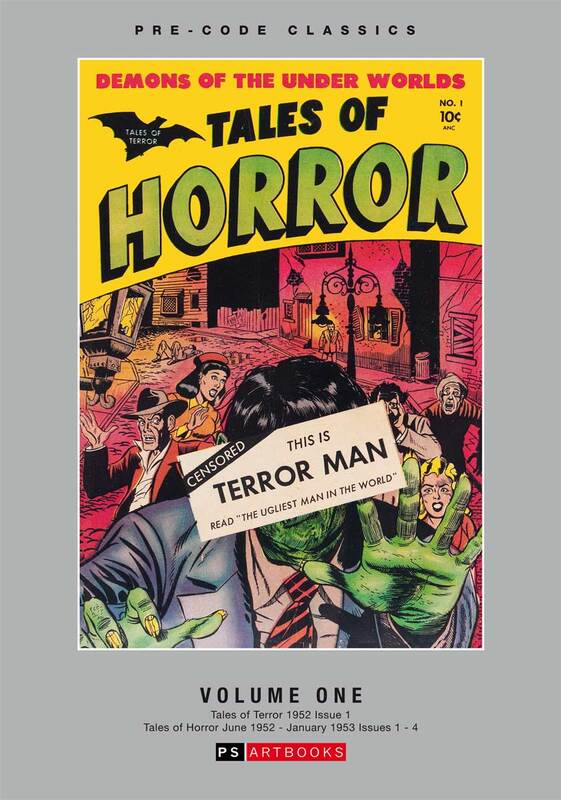 This first volume features the ACE Comics issues of Tales Of Terror, issue 1 – 1952 and Tales Of Horror issues 1 - 4 June 1952 to March 1953. Housed in full-colour slipcase.